“영덕 화수루 일곽”의 화수루는 17세기경에 초건되어 이후 중건된 중층의 누각 건물로서 누 대청이 강당을 겸하는 유형의 이 지역의 대표적 누 재실 건축이며, 전사청인 몸채와 함께 공간구성과 구조 양식 등의 건축적 가치가 뛰어나다. 또한, 인접 건물인 초가까치구멍집과 청간정도 비교적 구조나 보존상태가 양호하고 서민가옥과 정자 발달사 연구에 중요한 자료로 문화재적 가치가 크다. 당초에는 경북영덕 유형문화재 화수루(제82호)로 지정(1975.12.30)되었으나 신청(2007. 4.12)을 받아 국가지정문화재 국가민속문화재 제260호로 지정(2009. 4.28)되었다. 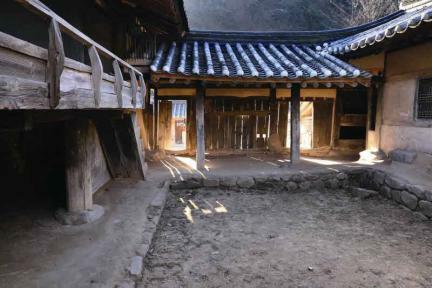 Hwasuru Pavilion was built sometime in the 17th century and rebuilt at a later date. 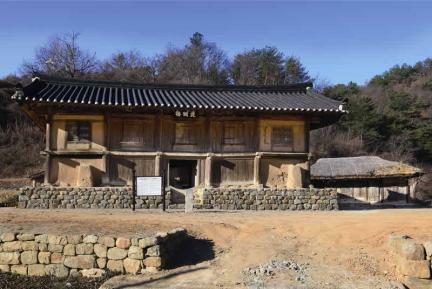 The pavilion, a representative example of a ritual house with elevated pavilion architecture in this region, comprises a Jeonsacheong, i.e., the main body of the building, and a main hall which served as a lecture hall. It has significant architectural value in terms of its spatial composition and structural style. 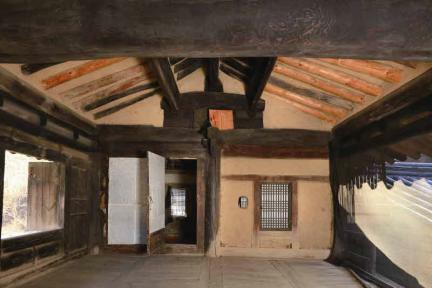 Also, a house with straw-thatched roof and Cheongganjeong Pavilion, which are adjacent to Hwasuru, have been well preserved, making them valuable cultural assets and important materials for studies on the development of common people’s homes and pavilions. 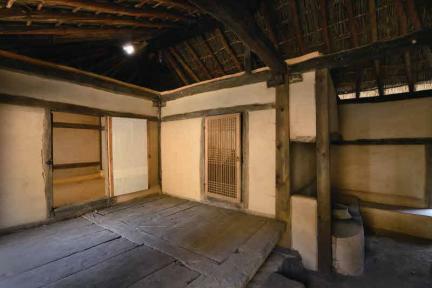 Hwasuru Pavilion was originally designated as Gyeongsangbuk-do Tangible Cultural Heritage No. 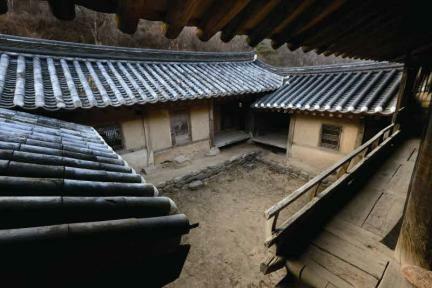 82 on December 30, 1975, but was re-designated by the government as Important Folklore Cultural Heritage No. 260 on April 28, 2009, pursuant to a request received on April 12, 2007.